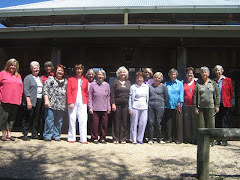 A number of VIEW Club women are members of two clubs and attend both club meetings, such as a day club and then an evening club. This is a great way to make more friends and be aware of what the VIEW Clubs in your area are involved with. One such person is Sue Maas. She is a member of the Lake George Day VIEW Club and also the Goulburn Evening VIEW Club. Sue also provides another valuable service to the area by writing a monthly column in the Tarago Times about the VIEW Clubs in the area. Of particular interest are her articles in the September and November issues. then click on the relevant months. Also, worthy of mention is Lina who won the book "Flying Solo" by Robert Gerrish in a business competition run by the Palerang Bulletin. Congratulations Lina! Thanks so much Lydia. I enjoy putting the article together, but always a rush to beat the deadline. I hope everyone can get the chance to look at the site and read the articles each month. I always welcome any suggestions or news for the article as well. Take care all.